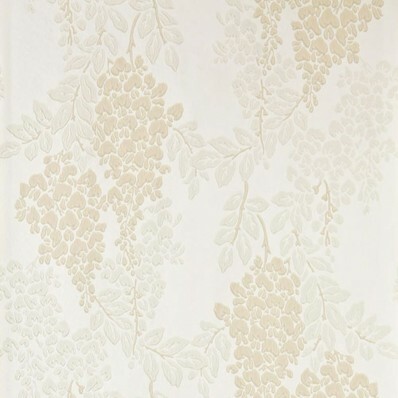 Wisteria is a classic English floral pattern from 19th century with its abundant, trailing design of blossoming wisteria. 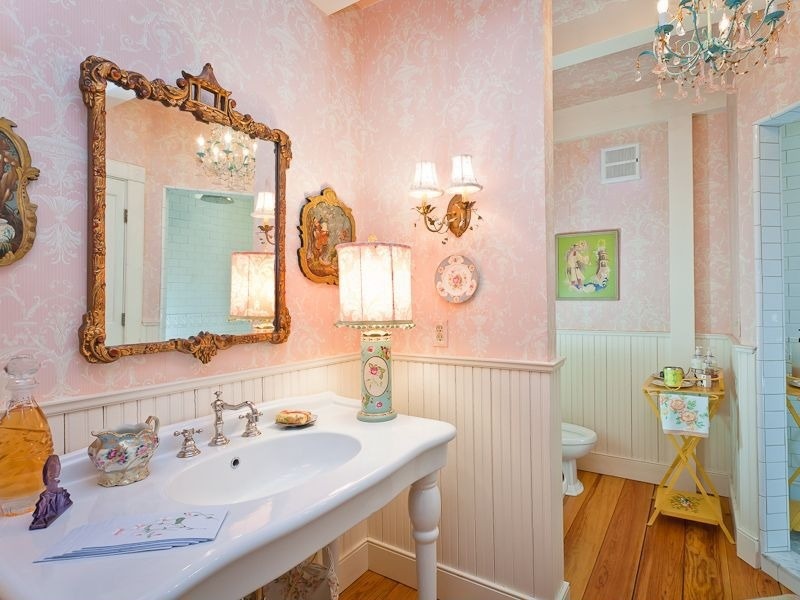 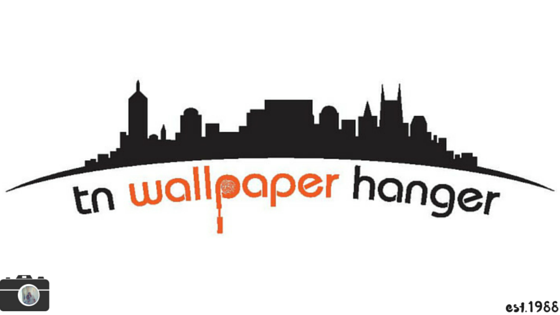 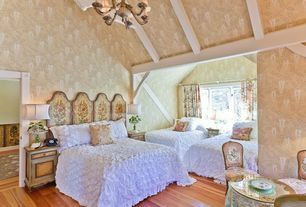 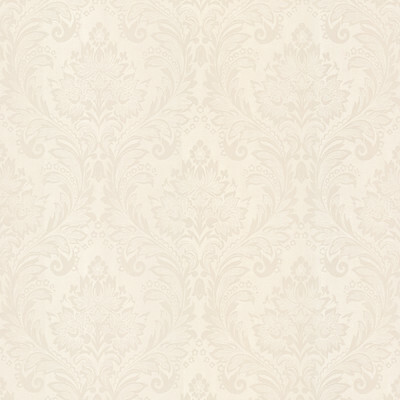 This wallpaper captures the warmth of English romance and creates a flourishing, exciting design. 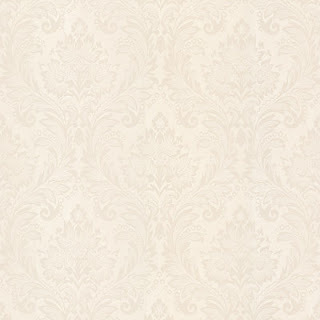 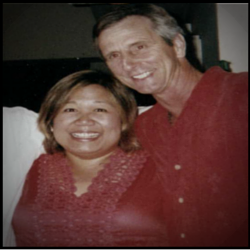 Shown here in light beige and grey on a cream background. 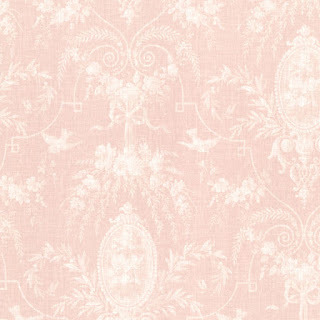 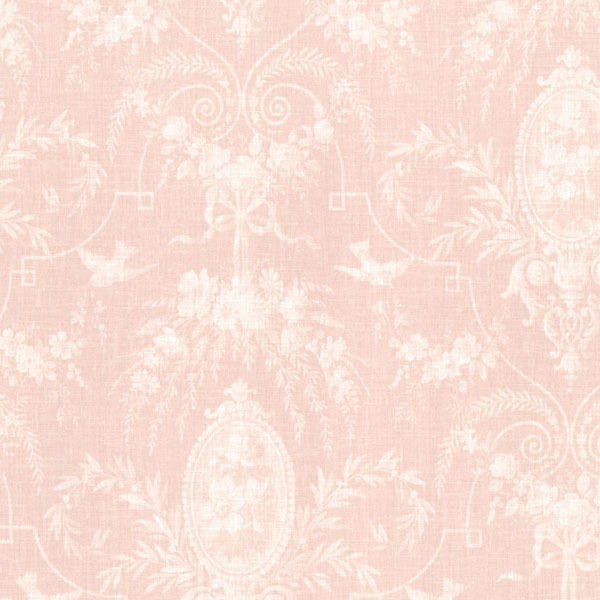 This romantic wallpaper has the vintage elegance of an heirloom fabric, dressing your walls in a blushing scene of birds, bows, and cameo fleurs. 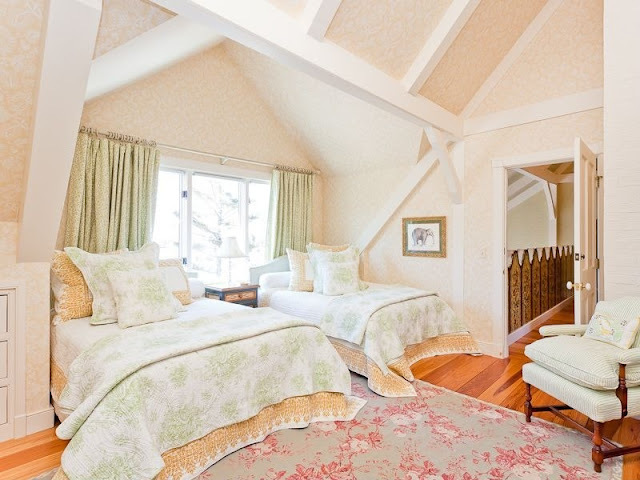 A true country-cottage look: Layered quilts and wallpaper. 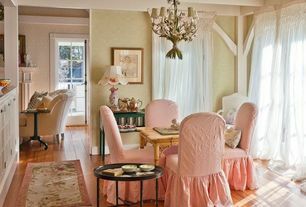 A country palette in neutral and pink shades.